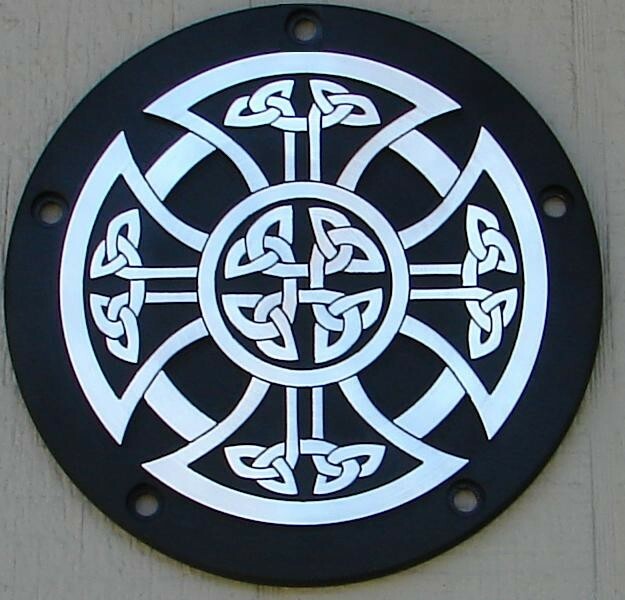 the "Raised Celtic Cross" design. We make this fine cover to order, please allow two weeks for machining. The top is machined off to make the artwork especially crisp and clean. Due to the detail of this cover, it is not offered on smaller covers, Sorry....Please stop asking. to miss the knot work design on the Victory cover only. They only use two due to the light sheetmetal cover.